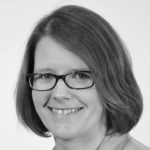 Will there be enough architects, construction managers and engineers to fill the industry’s needs ten years from now? 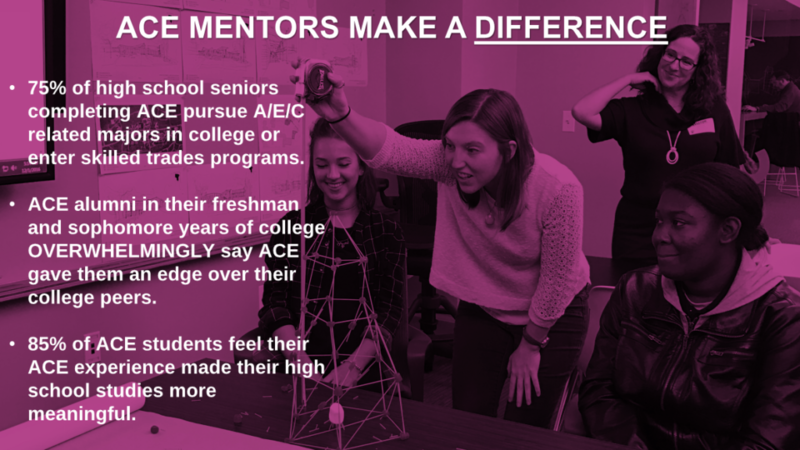 The ACE Mentor Program is working hard to make sure there will be. 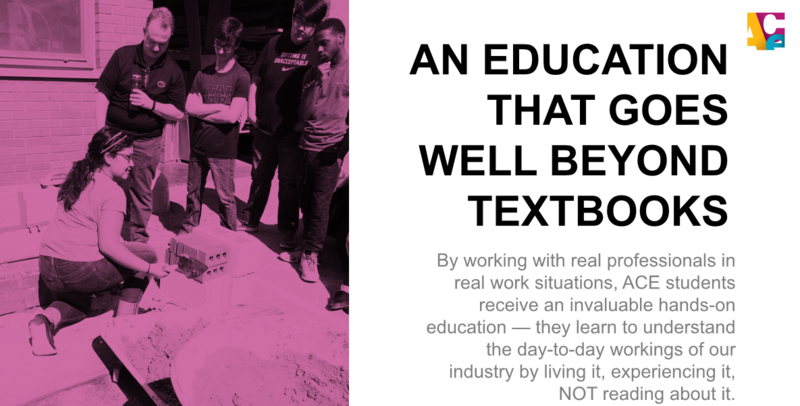 The national program was founded in 1995 as an innovative way of attracting students, particularly minorities, women and low-income populations into careers in the architecture, construction and engineering industry. 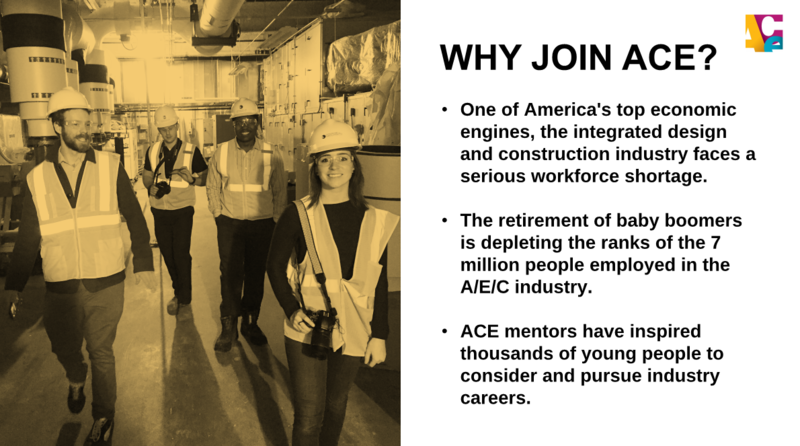 ACE’s mission is to inform and excite high school students about career opportunities in architecture, construction and engineering; encourage students to pursue secondary and post-secondary education that will prepare them for careers in the integrated construction industry; and support the development of basic and technical skills through mentoring relationships. 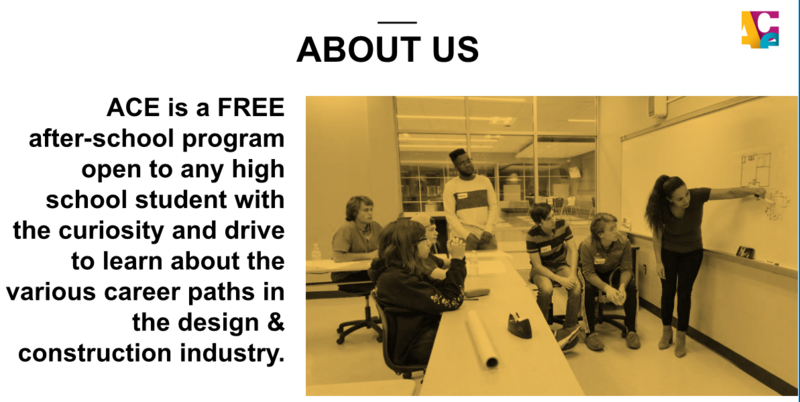 High school students in the Raleigh/Durham area can now benefit from a nationwide program designed to introduce them to the wide range of career opportunities open to young people in architecture, construction, engineering, and related areas of the building design and construction industry. 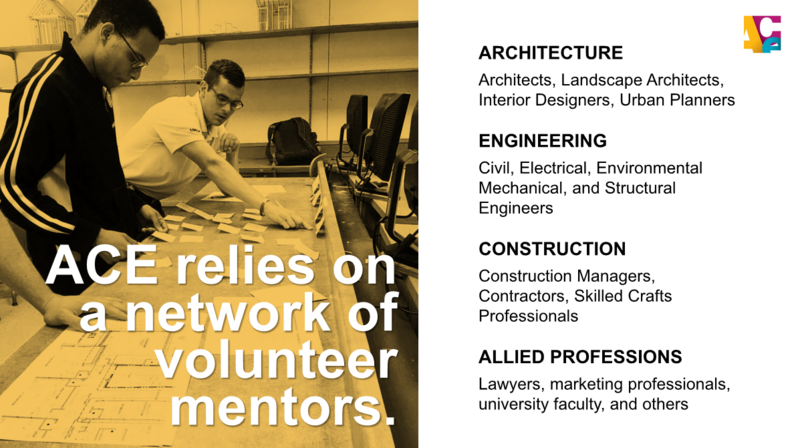 At weekly meetings, student teams work directly with professionals from leading area firms, who volunteer their time to mentor the teams as they design hypothetical projects, tour local construction sites, and visit architectural, engineering and construction offices. To inform and excite High School students about Architecture, Engineering and Construction Career Opportunities. Support the development of basic and technical skills and form positive relationships with industry professionals. Provide references for college admissions, internships, and full time employment, and give scholarships to students pursuing the ACE career fields. 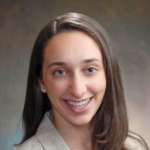 Attract and promote all students and especially minorities, women, and low-income populations in the community. 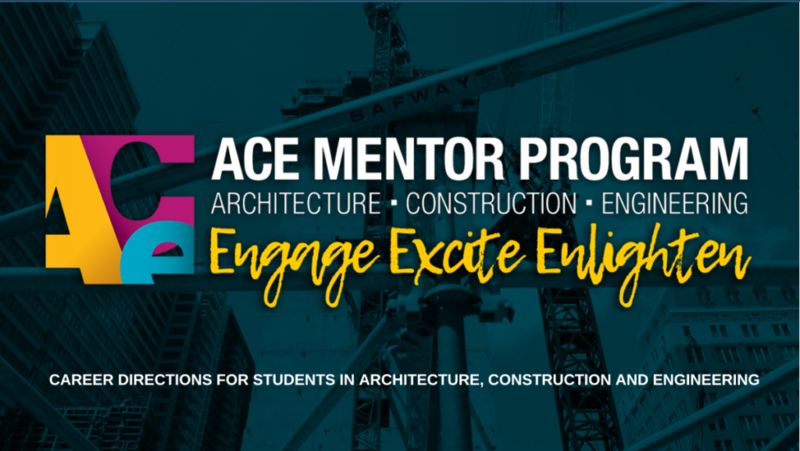 Students in the ACE program typically work closely with their mentors on projects that provide hands-on experience in solving the types of design, engineering and construction challenges industry professionals confront every day. The teams often learn how to use advanced computerized tools, such as AutoCAD, while special exercises and activities illustrate the industry’s demand for young people skilled in math, physics, economics, art, and other disciplines. The following map details the 2017-2018 meeting locations and the schools our students came from. For the 2018-2019 Program Year, Wake Tech Main Campus has been added as a sixth location. Attend a field trip to a related site to begin your planning process. Work with real architects, contractors, and engineers to design your vision. 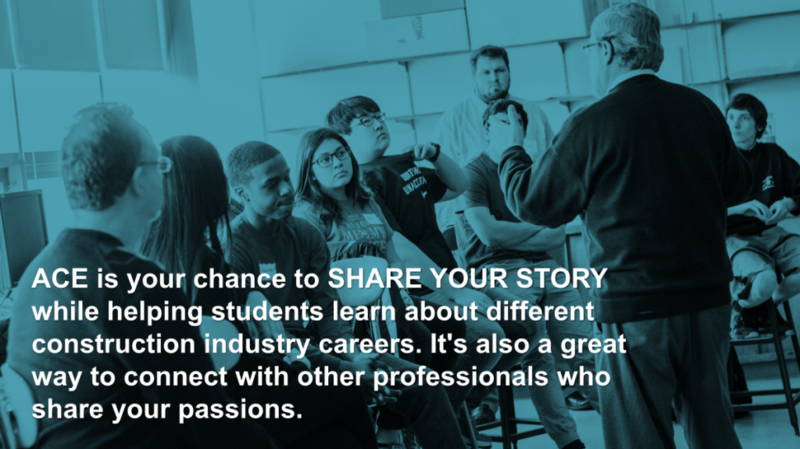 Present your work in front of industry professionals, family, and friends. 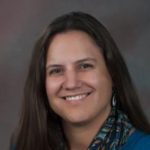 Students can utilize their experience to apply for scholarships.